Photo: The Davey Tree Expert Co.
Employees of Davey Tree Expert Co. looking to continue their education now have some help. The Davey Foundation launched a scholarship that will pay 80 percent of an employee’s tuition to Kent State University’s online environmental management program. Employees who stick with Davey for two years after graduating qualify for reimbursement of the remaining 20 percent from the Davey Foundation. Davey and Kent State partnered to create the online environmental management program in 2009. The two-year associate degree requires completion of 27 credit hours of documented, on-the-job training at Davey and 34 credit hours of online classes through Kent State, according to Davey. 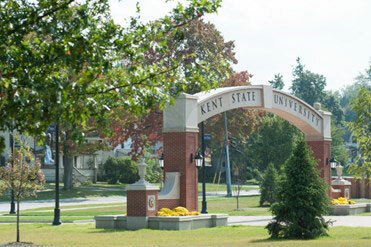 Kent State educates student-employees with courses in business, psychology, sociology and more. Davey provides experience in practicing arboriculture and horticulture professionally. After completing the program, students may apply the credits they earned toward a bachelor’s degree in technical and applied studies at Kent State. Credits can be earned by attending the month-long Davey Institute of Tree Sciences, which covers biological studies, tree and plant care, disease diagnoses, climbing and safety procedures, and management techniques. The associate degree program graduated its first student, Brian Edwards, in May 2014. Edwards is a utility account supervisor for Davey in North Carolina.